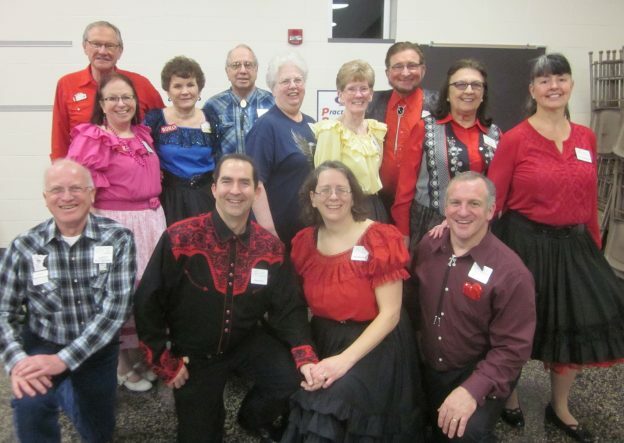 February 1, 2019 – Cambridge Corners “Valentine’s” Square Dance, Isanti, Caller Abe Maier. Dancers from Triple T, Spares & Pairs, Single Circles, Jolly Promenaders, Hot Foot Stompers, Friendly Twirlers, County Line Squares, and Ar-Dale Dancers danced with Cambridge Corners. 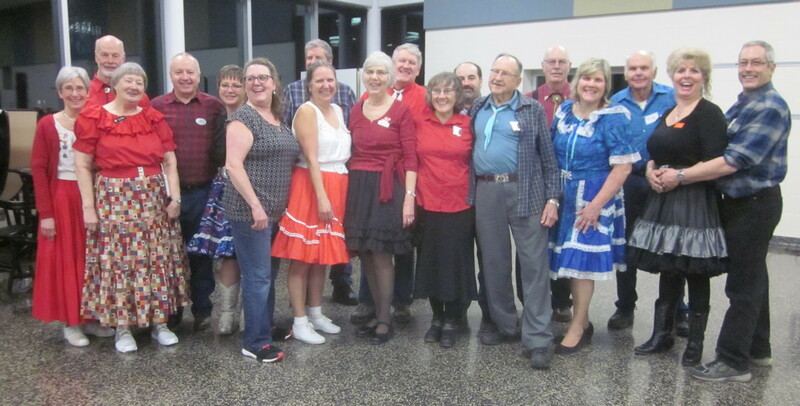 Hot Foot Stompers Queen Coni, Cambridge Corners Queen Edna and King Arnie, Federation At-Large Lisa Casperson, Come Square Dance Chair Vince Dahlheimer, SDM Executive Director LeRoy Elfmann, RoundUp Advertising Manager Connie Walker-Pearson, and RoundUp Subscription Manager and Enhancin’ Dancin’ Editor Paul Pearson were also present. County Line Squares (see photo above) and Hot Foot Stompers (see photo below) already had Cambridge Corners banners.